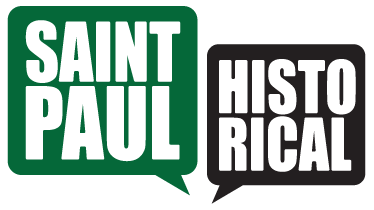 Located in the North End neighborhood, Rice Street began as a commercial corridor that served St. Paul’s working class. Rice Street is unassuming; when it was rushed into being more than a century ago, there was no time for ornamentation or ostentation. Despite its utilitarian appearance, Rice Street has a character that is unique to the street and the North End. A trip along Rice Street reveals a rich neighborhood history with proud ethnic and working class roots. Rice Street was and is a street that works. The street takes its name from Henry Rice (1816-1894) who, though one of Minnesota’s early patricians, was certainly a hard worker himself. He was a footloose Yankee brought to St. Paul by the fur trade. Rice settled here in 1849 and quickly made a fortune, chieﬂy in real estate (real estate speculation was the passion of many first settlers.) Then he went into politics, where he served as a Territorial representative to Congress (1853-57), and then as one of Minnesota’s ﬁrst U.S. senators (1857-63). Rice served also as a regent of the University of Minnesota, president of the Minnesota Historical Society, and treasurer of Ramsey County. He is buried nearby, in Oakland Cemetery. Rice Street begins at University Avenue, but this tour begins several blocks north, at Lyton Place. Here is where some of the historic character of Rice as a streetcar artery, can still be seen.